Everyone is talking about gender equality – from the NFL, campus assault reforms, and a possible woman President. Over the past few decades, the often tireless work of the women's movement around the world has brought positive change. There has been a growing recognition that we cannot thrive if half the population is left out of education and work, or not included in decision-making. Laws have been introduced to recognize women's right to safety in and outside the home, equal pay in the workplace and equality under the law, and there have been attitudinal changes towards women. But much work still remains. Join Carol Robles-Román, President and CEO of Legal Momentum and a highly sought after national speaker, to hear about how women – and men – are working to create a power shift in America today. 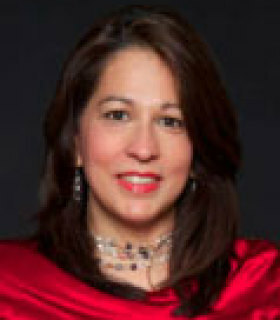 Carol Robles-Román is the President and CEO of Legal Momentum, the national legal organization that advances and defends the rights of women and girls. In this role she creates partnerships with public and private employers on the issue of equal pay and workplace fairness. Recently, Legal Momentum has helped create workplace protections for federal employees, legally represented women who were subjected to workplace discrimination and sexual assault, and called for elected officials to respond forcefully to the scourge of domestic violence. Carol was formerly Deputy Mayor for Legal Affairs and Counsel to Mayor Michael R. Bloomberg, and was the first woman to serve as Counsel to a NYC Mayor. She advised the Mayor and the executive branch on governance and compliance, judicial selection, anti-discrimination laws, ethics, police oversight, disability and access laws, domestic violence, and immigration. She led and oversaw the overhaul of several city agencies to improve access to justice and city services for New Yorkers. A lifelong New Yorker, her background includes leadership positions in governance, economic and business development, strategy and complex operations. She is a national speaker and appears regularly in the media, speaking about national and international trends in the law and courts, education, women’s rights, immigration, human trafficking and violence against women, most recently on CNN discussing her mentorship program, GPS: Girl Power School, and on ABC. Redefining how the city proactively responds to domestic violence with the establishment of the state-of-the-art Family Justice Centers, with dedicated prosecutors, civil attorneys, law enforcement and service providers under one roof. Partnering with foundations such as Avon, Verizon and the Joe Torre Foundation, the Family Justice Centers are six million dollar facilities with have an annual budget of over $3.5 million. The Centers coordinate over 260 city, private, federal and non-profit staff. Recently, she successfully championed expansion of legal services for immigrants in need of defense counsel and immigrants who are domestic violence victims. Partnering with the Robin Hood Foundation, the Family Justice Centers added attorneys to counsel immigrant domestic violence victims. Creating the Administrative Justice Coordinator office to streamline and modernize NYC's administrative tribunals. She oversaw the consolidation and management of the Environmental Control Board, the tribunal at the Taxi & Limousine Commission, the tribunal at the Department of Mental Health and Hygiene into the Office of Administrative Trials and Hearings (OATH), the city’s central, independent tribunal where businesses and individuals resolve violations of New York City’s quality of life, health and public safety laws. Partnering with Grey New York and led the city’s team together with foundations, media professionals and service providers to develop a first -of-its-kind multimedia public awareness initiative: Let’s Call an End to Human Trafficking. The initiative features a centralized website, public service announcements featuring the actor Emma Thompson, print ads, posters, palm cards, and a public service announcement in Chinese, English, Korean, Russian and Spanish which aired on Time Warner Cable, NYC TV, Taxi TV, nyc.gov, and the Mayor’s YouTube channel. The campaign images have been used in other U.S. jurisdictions. Convening and chairing the New York City Mayor’s Office Survivors of Human Exploitation Working Group, and led citywide reform efforts for global and local solutions, including focus on the unique problem of teen trafficking. Planning and implementing a first-of-its-kind citywide training sessions to recognize signs of trafficking and provide appropriate services at City Family Justice Centers, select New York City Health and Hospitals Corporation hospitals and the Administration for Children’s Services. Partnered with non-profits to secure federal grants for interagency training for medical professionals developed for and in collaboration with the Mayor’s Office Survivors of Exploitation Working Group. Working with NYS Anti-Trafficking Coalition and key officials to support state legislation that makes human trafficking a felony, and provides trafficking victims with greater access to social services. Convening the NYS/NYC Anti-Child Trafficking Working Group, comprised of City, State and Judiciary partners to establish better tools for organizations to help children and families to prevent human trafficking and provide victim services. Creating and branding signature events and websites for the City of New York including: “Disability Mentoring Day,” “Immigrant Heritage Week,” multiple domestic violence awareness ad campaigns, the “NY Loves Women” campaign, “Voter Awareness Month,” the “NYC Small Business Awards” program, and the “Access To Justice/A2J” symposium, which established protocols for plain language use in documents, language access, and enhanced technology and website capabilities in administrative courts in New York City. She has received numerous awards and recognitions, such as 2011 “100 Most Influential Hispanics” by Hispanic Business Magazine, and PODER Magazine – ABC Business Awards for demonstrated remarkable strategy, vision and leadership. Carol holds a J.D. from NYU School of Law, where she received the Vanderbilt Medal for extraordinary contribution to the law school community, and a B.A. from Fordham University at Lincoln Center.